Artificial intelligence has been the domain of science fiction for decades — think HAL, the computer in “2001: A Space Odyssey” — but as many people know, it’s actually established well-developed and growing roots in modern-day life. Amazon’s Echo, Netflix’s recommendation engines, Facebook’s facial recognition technology, auto-braking on cars, it’s all based on the ability to analyze massive amounts of data in near real-time and being able to mimic human behavior based on the results. AI and its various subsegments — like machine learning and deep learning — are also reaching deep into the enterprise, helping to automate many of the tasks that now are done manually, creating greater efficiencies, reducing errors and offering valuable new insights into the massive amounts of data being generated. In a dynamic and fast-changing market like manufacturing, systems that can learn and adapt on their own will be crucial in driving the next-generation flexible environments. Businesses know this. According to Accenture, 85 percent of executives plan to invest in AI technologies over the next three years. In addition, the consulting firm notes that, by eliminating repetitive tasks and enabling more creative and accurate problem-solving, AI can increase productivity by 40 percent, many times without having to grow the workforce. But it’s more than improving process efficiencies and reducing costs. Systems leveraging AI and machine learning capabilities can help businesses become less reactive and more proactive, make better decisions for the future and improving the customer experience. So how can all this help a company fine-tune its business processes? AI-based systems essentially think in a fashion similar to humans and can help automate many of those processes, while machine learning can learn from a human by, for example, watching them correct mistakes and then being able to make those corrections on their own. A deep learning system can learn by itself and program itself. Given all that, businesses now have the technologies that can enable significant amounts of policy and process automation — freeing up employees to handle more valuable tasks, like customer engagement. These technologies can churn through tremendous amounts of data, thousands of documents, analyze information and rapidly find patterns that can lead to better and faster decisions. For the back office, these systems can learn how to group hundreds of thousands of invoices, understand what the data means, which customers are associated with which invoices, correct errors and process the documents. AI-based technologies like natural language processing can read data and discern whether the document is an order or invoice, the numbers on the document, the language that’s being used, the order number and any other information. The technology also can be used for chatbots that can solve most customer issues without human intervention, freeing up customer service representatives (CSRs) to deal with the most demanding buyer needs and improving the user experience. Predictive modeling means business leaders can see real-time trends in everything from customer buying patterns to changes in the market and can make product and marketing decisions based on those insights. This isn’t science fiction. It’s happening now. Business process software vendors are rapidly building out the AI capabilities in their products with engines that use machine learning and deep learning to manage and analyze structured and unstructured data and offer core functions like document and image recognition, content recognition and analytics and reporting. These technologies are already being used in the business world in areas such as market analysis, content management, finance and accounting. It’s also being leveraged in customer engagement, where Accenture says businesses are seeing faster resolution and a 30-percent increase in capacity — two factors which are driving customer satisfaction. Make sure the data is clean. An AI- or machine learning-based system is only as good as the data it is using — it can’t think or decide on its own. A company needs to ensure that the data from the databases and tables that is going into the system is accurate, complete, uniform, consistent and tagged correctly to order to be have confidence that the results are accurate. Find the low-hanging fruit where AI capabilities can make an immediate impact. Determine the processes that tend to be done manually — like billing, invoicing, procurement and expense — and use AI and machine learning solutions to automate those tasks, which will have an immediate effect on efficiencies and costs. Then move up the stack and look for ways the technologies can be leveraged to create predictive models and other tools to help drive better, more-informed decisions. Find the right vendor for the AI-based business process project. The terms “AI” and “machine learning” are being used everywhere, the same way “cloud” and “virtualization” were in past years. The right vendors should be able to explain the how AI in their solutions can improve operations and what the benefits will be. In addition, they should also be ready to support the company in such ways as identifying problems that need solving, ensuring the company has the right data, explaining the skills that are needed and proving ROI. Remember that AI and machine learning algorithms are tools, not magic bullets. Companies need to work with their vendors to ensure that the technologies are being used in the best way to get the desired outcomes and that they’re addressing the right use cases. Executives also have to have realistic expectations of those outcomes and to keep in mind that AI-based solutions can provide insights, patterns and recommendations from the massive amounts of data they process and analyze, but in the end the decisions must be made by humans. AI, machine learning, deep learning, natural language processing and other such technologies can have a significant and positive impact on how business processes are run. They help drive everything from efficiencies and cost reductions to better decision-making and customer experiences. Companies just need to make sure they are taking the right steps as they adopt the technologies to ensure the outcomes are what they’re looking for. 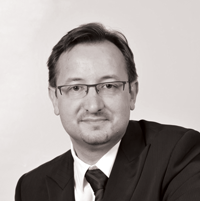 Eric Bussy is a Worldwide Corporate Marketing and Product Management Director at Esker.